As usual, The Times was late in acknowledging the reality of individuals employed by the U.S. government who are actively working against the will of the people and America’s duly elected president. Once dismissed as a conspiracy theory by the biased liberal media, the Deep State is now exposed for all to see. All Americans should be concerned – particularly the 62 million people who voted for Donald J. Trump for president in 2016. 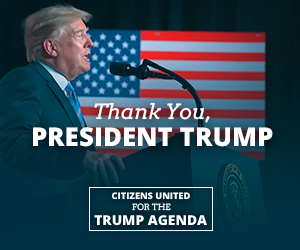 The people spoke loudly and clearly in November 2016 and they chose President Trump – the ultimate political outsider – to confront the failed Washington status quo and shake it up. The rise of the dangerous and unaccountable Deep State is a reaction to Trump and his highly successful America First agenda, which could not have been accomplished with business as usual.